Home Nokia New Nokia 5800 XpressMusic Firmware Upgrade to Feature Kinetic Scrolling? 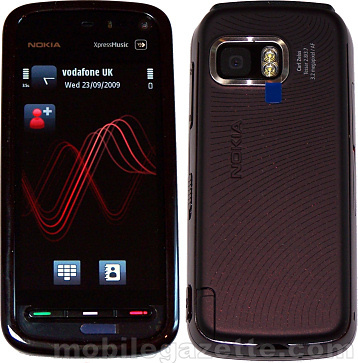 New Nokia 5800 XpressMusic Firmware Upgrade to Feature Kinetic Scrolling? Nokia Malaysia recently organized an event and discussed the feedback regarding Nokia 5800 XpressMusic. It seems that the Finnish giant is now working on a firmware upgrade, that’s in the testing phase. Rumour has it that it’ll include kinetic scrolling, just like the N97 and 5530 XpressMusic. Nokia 5800 XpressMusic will also get an enhanced home page, in the N97 style, a camera upgrade and a better response time, thanks to the new firmware. However, we’ll have to wait till the 4th quarter of 2009 for the release of the new software. The Finns will probably want to release the 5530 XpressMusic, before borrowing some of its features and porting them to the 5800 XpressMusic. Last we heard, the 5530 was heading for a Q3 release in Europe and Asia, so there’s a lot of waiting to do.